Our “Enhancement of Skills in Retail” Project numbered 2014-1-TR-KA202-013308 has been accepted within the framework of Erasmus+ Program during 2014 request for proposal term. Within the framework of the Strategic Partnership Grant Program, our Project which has received grant from the Turkish National Agency for a period of 2 years under the coordination of the Food Retailers Association will be completed in August 2016. Recent survey that has been carried out by Food Retailers Association with Chain Stores Association throughout the retail sector in Turkey revealed that the vocational training provided by the companies is limited to an average of 7.5 hours. On the one hand there are the companies where the staff trainings are exclusively well-done, with multiple sessions and effective methodology, in the academies established specially for the purpose of staff training; on the other hand most of the companies organize the trainings that are limited to orientation-like meetings. The variety in trainings creates a low profile in both sufficiency and also in adequateness for the retail trainings in general. The companies devote serious time and resources to provide adequate fundamental training for employees and employees-to-be. Training cost are at average 100 Euros per person. However, it is more than common that the trained employees serve within the company by which they trained shorter period than the devoted resources for trainings are recoup itself; hence the process repeats itself for the new candidates. Based on the survey conducted, the employee circulation is %20 to %45. These high rates result in even higher waste of resources in the sector and hinder the innovative and possibly fruitful investments for higher employment. Another outcome of the survey is that every company tends to retrain new recruitment due to the lack of standardized training and certification; not only the inexperience but also experienced employees are trained and retrained diversely depending on their entitlement in the company. Retraining the employees causes waste of time and resources that in a rapidly growing industry are rationally crucial, where the resources could be invested for better purposes like better wages or new employment opportunities. Lack of the standard retail training and certification also affect adversely the perception of the profession as blue-collar retail position; which is conceived as temporary, step-like and not good for career building purposes. This perception is also related to the little publicity and promotion of the profession and the industry itself, additional to the lack of training standards. The greater part of the employment in the Modern Food Retail and Retail except Fashion/Food is held by young men and women. The employment rate for those aged from 19 to 36 is %70, where for those from 36 to 45 is %28. The employment rate for women is around %56 where for men, rate is %44. However, in general employment rate of women remains in the %25 to %30 ratio . In order to ensure the benefit of retail sector employees from a broad participation education platform and to get the highest efficiency from the Project, the strong aspects, weak aspects, possible opportunities and threats of the Project will be analyzed. 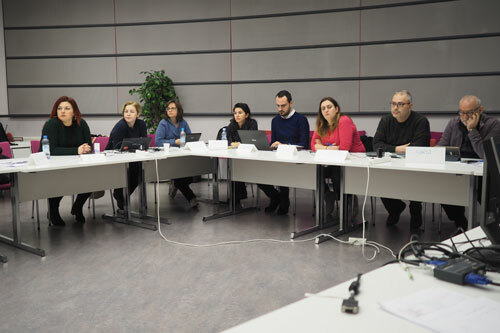 The online education system to be formed within the framework of the Project will be structured by Boğaziçi University which is among the Project partners at the same time. The online education system that will be come out at the end of the Project will show compliance with both EU and Turkey vocational compliance criteria in addition to being easily accessible. One of the most important qualifications of our distance education program is that it aims to directly provide employment. With the completion of the accredited studies at the end of the Project, the certification process for the education will also start. 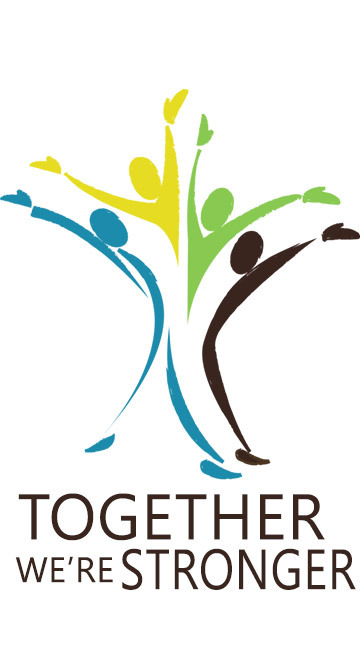 In this Project directly focused on the retail sector, in order to provide a distance education program aiming at the operational employees, the training and recruitment departments of the leading companies of the retail sector, 3 of these will be from Europe, experienced educators of the sector and one vocational high school in Turkey will work in coordination. The contents will be developed with the pilot education and exams. At the end of each module, there will be quiz regarding the relevant subject with which the students will strengthen what they have learnt. After the completion of the education, the question packages prepared by our educators will be turned into an exam enabling certification. With the completion of the accredited studies at the end of the Project, the certification process for the education will also start. Within the framework of the Strategic Partnership Grant Program, our Project which has received grant from the Turkish National Agency for a period of 2 years under the coordination of the Food Retailers Association will be completed in August 2016. Effect analysis will be made as to assess the development of the retail sector employees and the reflections of this development on the sector as a result of this Project planned to be performed with a broad participation. It is expected that the Project deliverables and reports will enlighten the future studies of our association and solution partners with whom we cooperate. Turkey's retail sector has grown 4% last year. The food retailing covers about 45% of the retail sector. 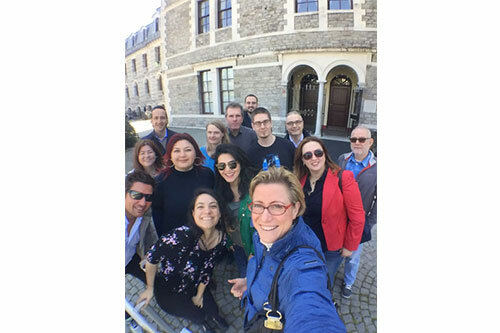 For the last transnational meeting of the Project, all the partners came together in Istanbul for the second time from 30th March to 1st April. On 1-3 February 2016, partners of Enhancement of Skills in Retail Project gathered once more, this time in Vantaa, Finland. 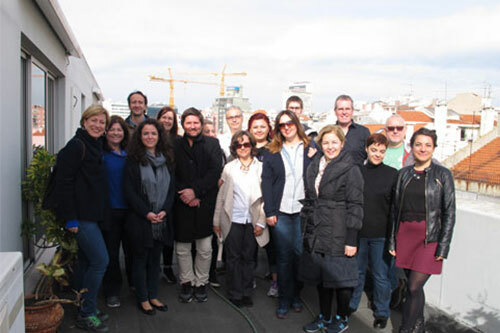 The 3rd transnational meeting took place in Lisbon, Portugal between 2-4 December 2015. 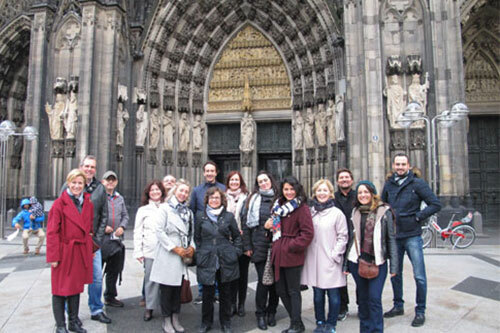 Enhancement of Skills in Retail Project partners came together in the second stop of transnational project meetins in Cologne, Germany. This project was carried out within the scope of the Erasmus+ Program provided by the T.C. Ministry of the European Union, the Presidency of the EU Education and Youth Programmes Centre (Turkey's National Agency http://www.ua.gov.tr), and grant provided by the European Commission. However, Turkey's National Agency or the European Commission can not be held responsible for the opinions contained herein.